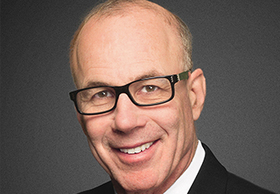 Dr. Stephen K. Klasko is president and CEO of Thomas Jefferson University and Jefferson Health in Philadelphia. Are we ready for one-click healthcare? That's one of the promises of the partnership announced recently by Amazon, Berkshire Hathaway and JP Morgan. It'll be difficult, to say the least, for these pioneering companies to disrupt the American healthcare system. But one thing's for certain—we're going to learn a lot from the experience. Their announcement is significant for reasons that go far beyond the combined 1.2 million employees whose medical costs they hope to bring under control. This is a landmark event because it means the world's most innovative employers are no longer content for healthcare to remain stuck in the '90s. It means they're tired of the lack of transparency, the massive inequities in care across the country and the utter lack of focus on what consumers need—the qualities that define our current healthcare system. Healthcare is the only consumer product or service that doesn't focus on the needs of consumers. This has to change. Health-focused corporations need to become consumer healthcare entities where the patient is the boss. The major healthcare industries have taken a slow and steady approach to the changing dynamic, focused on preserving the status quo. But we don't have time for slow and steady. One can imagine Jeff Bezos, Warren Buffett and Jamie Dimon screaming, "We're mad as hell and we're not going to take it anymore!" They're taking matters into their own hands, and we should all join them. Employers are watching their health benefits contracts ratchet up without apparent end. Companies have been acting as their own insurers for decades, but this announcement shows that major employers are willing to pool their ideas and resources to tackle the problem of rising healthcare costs. Health systems need to get ready for a world where consumers can pick with a click. Online shopping was once dependent on individual stores with their own websites, but aggregators like Amazon, Alibaba and others now bring every choice into the same room and compete on convenience as well as price. Our system of healthcare delivery was designed around brick-and-mortar hospital facilities. But we need to bring care to consumers, not consumers to care. Rising out-of-pocket burdens and political gridlock are scaring people and companies into action. People are afraid that healthcare costs will bankrupt their families and mortgage their futures. The Amazon-Berkshire Hathaway-JP Morgan partnership signals the need for something like the 9/11 Commission to design a new patient-driven, innovative and equitable system for all. The business of healthcare has needed a major realignment for many years. We've gone from neighborhood video stores to Blockbuster to Netflix in the past 25 years alone, yet we receive healthcare today in much the same, inefficient way we did a half-century or more ago. We won't achieve the transformation our system needs until we make health services and information available when consumers need it, where they need it, at a price they (and the rest of us) can afford. Bezos, Buffett and Dimon will have a difficult time "fixing" healthcare. Their efforts may or may not succeed, but the indirect impact could be profound. Whether their work dislodges a few rocks down the mountain or results in a cascade of boulders, I'm optimistic that we will have made progress toward a future of healthcare that is integrated, transparent, equitable and more affordable. But for all of us in healthcare delivery, the message is even clearer: Don't wait. Don't wait for government. Like Amazon, Aetna and CVS, Intermountain Healthcare and others that are taking action on their own, look for creative partnerships. Look for consumer relationships with your patients. The time for incremental change is over.